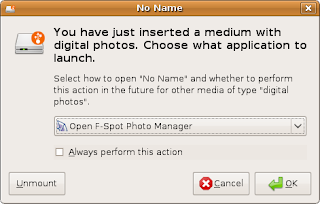 It'll be really hard for me to keep track which feature was done by which, so I'll post GNOME 2.24 and Ubuntu 8.10 as one. How is it hard? 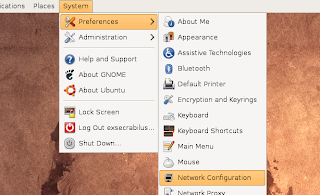 Well, I used to think that most of the things in Ubuntu were done by GNOME, but I was proven wrong when I looked deeply into the progress of Ubuntu 8.10 from alpha to final. 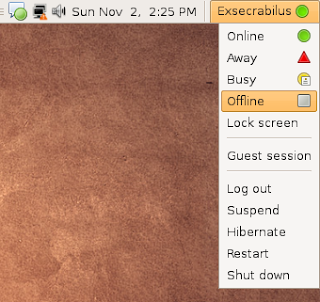 I learned the new quit menus were taken from OpenSUSE (not to be confused with the quit menu being split up into three parts in System part of the Menu Bar; that was by GNOME), that most of the work on the new FUSA applet was done by Ubuntu, and there's some things that Ubuntu takes out of GNOME that I noticed in Foresight's unedited version of GNOME that I couldn't see in Ubuntu's GNOME. 1. 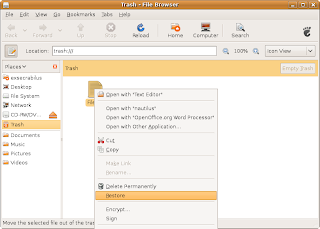 Improved file browsing with Nautilus. 2. Menu and panel items switch-up. 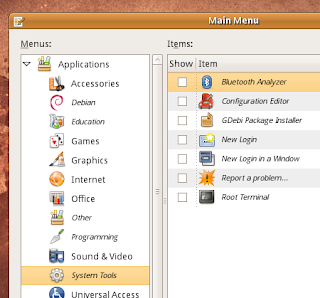 A lot of menu-moving around this time of Ubuntu in the Menu Bar panel applet. Then on to Ubuntu-made changes. And third, Document Viewer (Evince) and Image Viewer (EOG) are hidden by default, because they can be opened anyway by double-clicking a PDF or image file, and simply waste menu space if left visible by default. 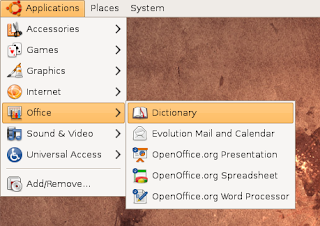 OpenOffice.org Formula (OpenOffice.org Math) is installed again (it was left out in Hardy for lack of space on the ISO), although it is hidden by default in Applications -> Office. 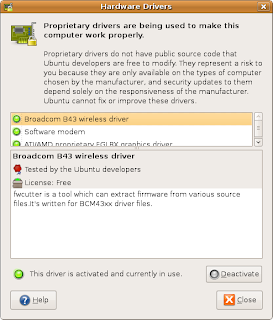 Another clearly visible change is that Applications -> Accessories -> Bluetooth Analyzer, which was set visible by default in Ubuntu Hardy, has disappeared completely from the Accessories section. Further investigation reveals that it has been moved to Applications -> System Tools, and is hidden by default for complexity and inactivity of use. 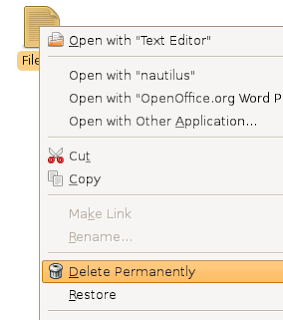 For some reason the devs have chosen to hide System -> Preferences -> File Management (Nautilus file browser preferences) in 8.10. I think they were trying to hide System -> Preferences -> Encryptions and Keyrings, (which is right above) and screwed up. 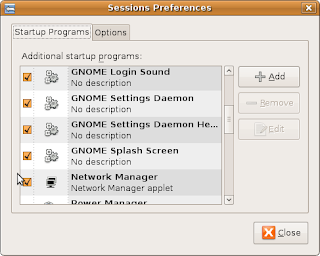 At any rate, it should be set back, because unlike normal applications' preferences, Nautilus is a literal shell for GNOME and makes up all of the Places section in the Menu Bar, therefore making it extremely important and earning a merit to have its preferences dialog displayed by default in Ubuntu. Finally! System -> Preferences -> Multimedia Systems Selector, has been hidden! I always believed that it was too complicated and had too little descriptions for the average end-user to understand anything, and finally, the devs removed it from view! Of course, this doesn't prevent advanced users from just enabling it via the menu editor if they feel the need to use it. OnBoard has been moved to System -> Preferences and has been removed from view by default. 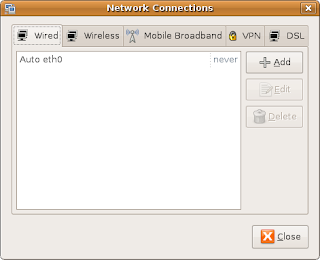 The [Fast] User Switcher applet has been moved to the far end of the top right corner, and a Separator has been put between it and the other applets. That is all the menu change-ups that I have noticed. 3. New way to quit computing. 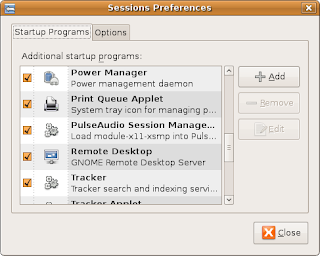 Ubuntu, after seeing how ugly inefficient the new GNOME quit menus were, with no descriptions of what each option does, and no Help button, decided to take refuge in OpenSUSE. 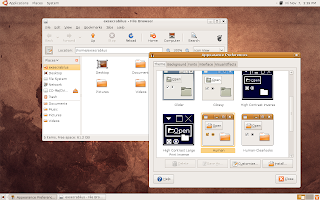 (I wasn't there before Ubuntu replaced GNOME's by OpenSUSE's, so I couldn't produce my own screenshot. Thank "Keir" for this. Beautiful set of icons, and with descriptions underneath and a Help button, integrating seemlessly with the GNOME desktop (did I mention the beautiful big icons and the Help button that provides seamless integration with the GNOME desktop?). But according to Mr. Shuttleworth on his post about the FUSA applet in 8.10 Intrepid, he has mentioned a feature he and his slaves employees didn't have enough time to implement: It speaks of the FUSA applet hiding from view System -> Lock Screen, System -> Log Out, and System -> Shut Down... if it is running; then, when the applet is removed, they all return to view. This is to prevent two ways to quit your computer and prevent confusion. (Bad move, in my opinion; the quit menus have Help buttons and descriptions, while the FUSA applet quit options are only one-two lettered words.) This is to arrive in intrepid-updates or if not, definitely by jaunty. 4. More programs to manage. 5. Two way to set time and date. Wow. 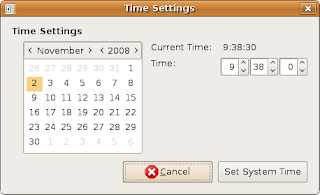 With GNOME 2.24, there are to ways to set the time and date. First, the classic way: time-admin (System -> Administration -> Time and Date). 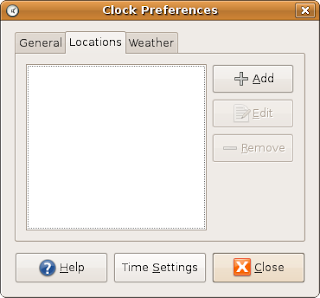 And second, by use of the Clock panel applet. Huh? What do I mean? Aren't they the same thing? I'll explain. You see the button Time Settings? Yeah well, in previous GNOME versions, it simply opened up time-admin, you entered your password, and set the date and time, etc. But no longer. The devs thought, "Hey, we're in Clock Preferences, so why are we opening up an administrative tool? Plus, why is setting the date and time for one user administrative?" So now, clicking Time Settings brings up a whole new redesigned-from-the-ground-up window to set time, just for that user. And if you want, you can click Set System Time... where you will be prompted for your password, and then the time you just set only for your account saves as the system default. 6. 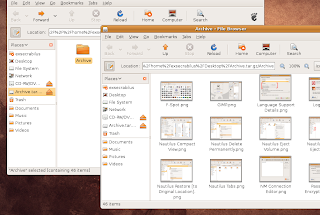 Useless GNOME Screenshot improvements. Amazing. But I'm still waiting for ability to make a selection of my screenshot, which GIMP's screenshot taker, and GScrot can already do. 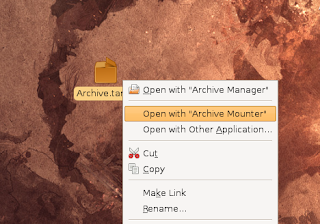 Same as ever, Alacarte, GNOME's menu editor, still has the bugs that existed since its creation, and none have been fixed. Only visible change is that the Properties and Delete buttons are no longer accessible only through right-click on an item. They have made buttons for it in the right sidebar. Once I reported a bug that Language Selector (System -> Administration -> Language Support) didn't show its icon on the top-left of its window titlebar. 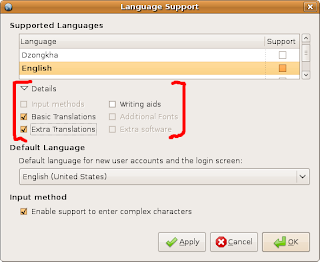 The developer never got back on the bug report, but he must have seen it, because when I checked Language Selector in Ubuntu 8.10, it was fixed. If you actually cannot see what is different in this version by looking at the above screenshot, please locate the red parentheses that I have conveniently inserted and regard the text in between the symbols. 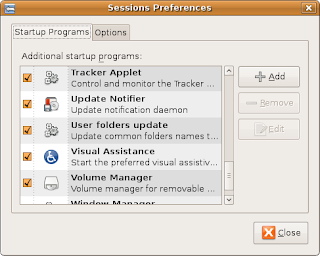 Ubuntu includes many useful applications that are not from GNOME, hence the term "third-party". Some of which are Firefox, GIMP, Transmission, etc. Note that I am not an Ubuntu fanboy who ignorantly thinks that everything in Ubuntu is done by Ubuntu. 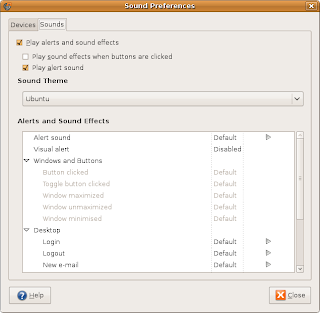 If you have seen some of my other posts (which I have greyed out) I am not a huge Ubuntu fan. I don't know what's so amazing and what the change is from the 0.4.x line, mainly because I never used it before. 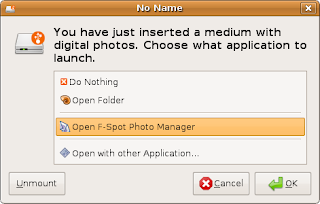 But seeing as how one of my commenters on my blog on new features in Ubuntu 8.10 (which is no longer active) got all hyper about it, I'm assuming a really cool thing is in F-Spot 0.5. Don't understand? Well, by clicking that square next to the "Available - Waiting for..." you can easily set an icon for your IM account, no matter what protocol it is. I am loving this. 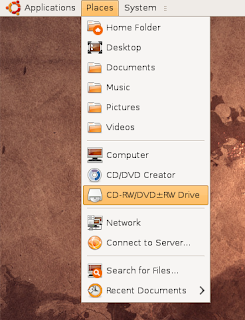 Not only does GNOME 2.24/Ubuntu 8.10 better recognize when I insert CDs or DVDs, (in GNOME 2.22/Ubuntu 8.10 it took five minutes of taking out the CD/DVD, then reinserting it, and repeating the process just for my system to recognize that I had inserted a disk) but now, a window pops-up when you insert a CD/DVD! It asks what you would like to do, if you want to do this always for these kinds of removable drives, and oh, you can eject the CD/DVD right from there if you want. 11. 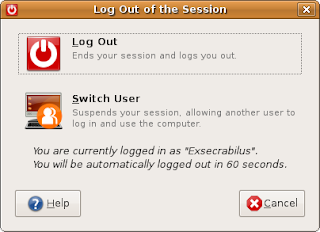 [Fast] User Switcher [Applet] upgrade. There's a new Guest session entry for lending your laptop so your friend can check their emails quickly, or letting them IM with their buddies, etc. And you can manage your whole system from there! 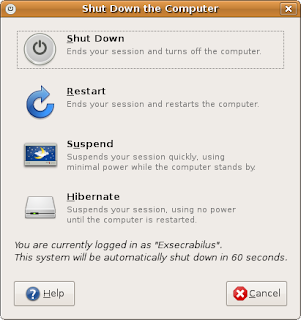 No need to go System -> Shut Down... only to have another dialog pop-up and choosing Shut Down again. Just click on the applet, click Shut down, and you're set! You can manage your IM status just from the applet. This feature works with Pidgin, Empathy, and Kopete, Mr. Shuttleworth claims, at least. Pretty neat, if you ask me. 12. 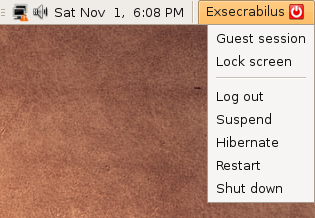 Miscelleanous cleanups throughout GNOME. 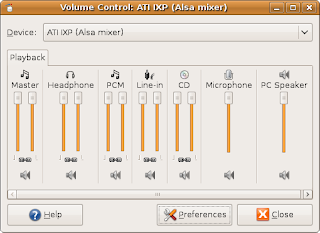 First up is GNOME Volume Control. 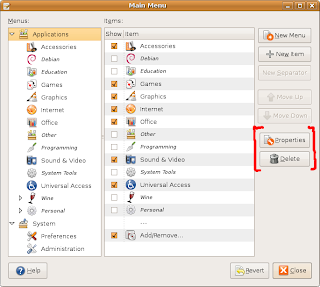 Though I cannot produce a screenshot, in Ubuntu Hardy, GNOME Volume Control, despite it being a preferences application, actually had its own menubar (File Edit View etc.). That was the first and last time I have ever seen a preferences application have a menubar and not buttons. Help -> Contents converted to a Help button, (like all other preferences applications) File -> Quit removed (you can quit by pressing Close) and Edit -> Preferences replaced by a huge Preferences button. Needless to say, the About dialog is not necessary. Wow, a huge cleanup, looks better in GNOME 2.24, doesn't it? Imagine how confused a newbie would be. That much options? Six tabs? 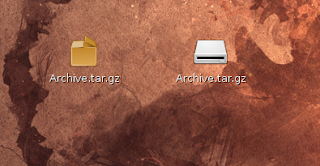 It's a good thing the devs minimized it to two this time around in GNOME. File Roller (Applications -> Accessories -> Archive Manager) now supports four new file types: ALZ, CAB, RZIP, and 7ZIP. This was achieved due to resorting to P7Zip for certain tasks. Finally, no more "sudo aptitude install unalz && unalz /home/exsecrabilus/Desktop/archive.alz"! 13. 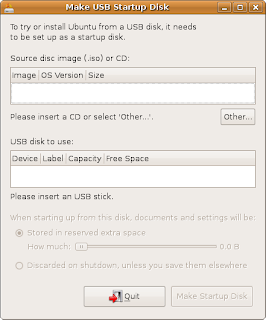 "Create a USB startup disk". No opinions. If you ask me, it should have been hidden by default, in Applications -> System Tools. So much things wrong with this application that I'm not gonna rant again and attract flames. 14. Mount archives like removable drives. From there, you can just copy and paste the contents, like you've extracted it. This is particularly useful when you have a 1000 GB archive and want to extract one image from it. 15. Jockey becomes THE hardware managing tool. 16. 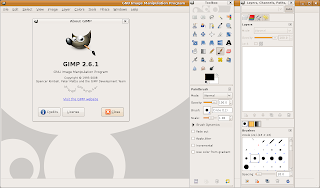 GNOME finally submits to Compiz. 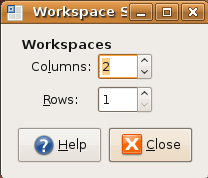 To edit the number of workspaces on your desktop, you just right-click on the Workspace Switcher panel applet, press Preferences, then you can add and remove desktops. But, of course, if you tried changing it while running Compiz, the terror began. No matter what you changed in the workspace preferences, the number of workspaces stayed the same--that is, until you switched back to Metacity. And the only solution was to install CCSM and even from there, it was difficult because of "Horizontal Virtual Size", "Vertical Virtual Size" and "Number of Desktops". Huh? GNOME has finally done something about it. 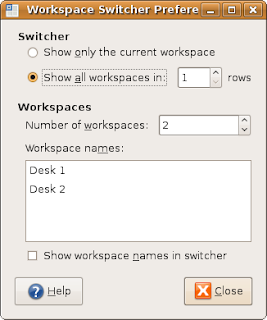 Starting with version 2.24, the Workspace Switcher detects if you are running Compiz, and if you are, switches its preferences mode so that the number actually changes. Neat huh? 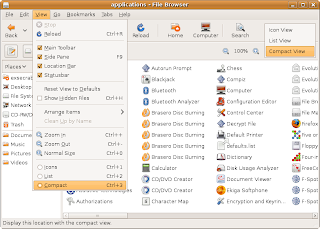 This is a step in the right direction for GNOME, since Compiz is becoming more and more popular. 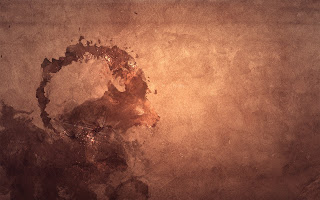 However, there are still unresolved issues, such as the Compiz Wallpaper plugin, that won't work if Nautilus is drawing the desktop icons (see here for more information). The one for 8.04 Hardy is hot and has a very nice style with smooth colors, but this is just ugly! They even forgot to capitalize the "s" in "Ubuntu shop". Bad, bad, bad. There is also a dark theme, called DarkRoom--it was previously known as NewHuman. It's a very nice dark theme, but for some reason, it refuses to display itself correctly on my computer, so therefore I cannot take a screenshot of it. 18. Ability to theme sounds just like appearance. 19. 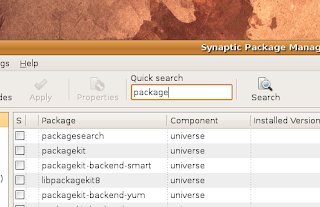 Quick search feature in Synaptic. *Clap* No words. No words. 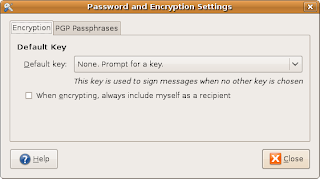 There is also a new feature in Synaptic[in the process of getting the screenshots] that displays, if the package is in Ubuntu Main, a message at the end of the package's description that the package will receive security updates until April/May 2009. If the package is in Universe, Multiverse, or some third-party repository, it will say that Canonical cannot do anything about bugs caused by the package. 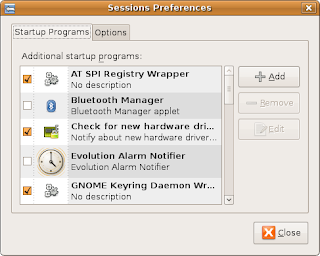 Overall, GNOME is getting better, with Ubuntu's choice of third-party applications. But, there are still little setbacks. So let's hope we can see more in the next GNOME. Great post! Very interesting and informative (well maybe you could have skipped calling people "losers" at the end). Keep it up! I ended up switching to the gnome desktop with ubuntu instead of using kubuntu. Normally a kde man. I am now a gnome man. Quite simply, the gnome of old really sucked. The gnome of new is pretty cool. Fist usable review after all those stupid *buntu blogs. Very good comparision with previous release. Maybe your just a little past the ubuntu hype, but i totally have to agree that the other articles on ubuntu are crap. Fabulous post. I have been thinking of switcing to Linux espeically since I found out tehre are several programs available that allow you to run Windows apps (crucial to my busines) from within Linux! Sweet! This is an awesome post. Great for seasoned Ubuntu users. I keep meaning to get this XP rubbish of my computer and try ubuntu, what worries me though is driver support. Ubuntu is great, but if you need to access a windows file server at all, stick to 8.04 Hardy. 8.10 breaks something in Samba support so that file servers don't show up anymore. I'm heartbroken to be relegated back to Windows rank and file until someone somewhere fixes the problem. This was an excellent and skilled review. Much deeper than all the others I looked at. Great post! Really indepth too. 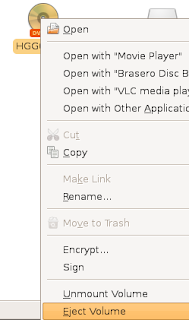 Oh, if only they'd make the open/save box more useful. In Ibex also works the "Hardy way". This new Ibex is more RedHat way. If only either group was compitent enough to fix a serious regression introduced by GVFS. Browsing windows shares is broken for any passworded servers/paths. It took them years to get it right and now its just been broken and added as a 'release note'. What a joke. How in the hell do you convince management that linux on the desktop is viable when they will release a product in that state. have you tried mounting shares with PyNeighborhood before browsing ? at least in hardy they are kept in places on nautilus. Simply awesome. Although I'll be taking adip in Kubuntu this time. 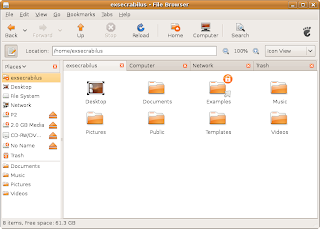 7 reasons why KDE sucs! Really nice and usefull writeup - thanks for that. > 6. Useless GNOME Screenshot improvements. Regarding those two features. As someone who makes a lot of computer related instructional material those features are extremely useful and have been very much missed - so thanks for pointing them out. 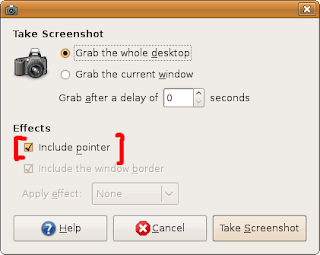 I have on a regular basis been forced to add the mouse pointer to a screenshot in gimp - and the pain to get the screenshot into your document. This is actually very great news. I have never - never - seen such an exhaustive and informative blog. I always try being detailed on my blog, and until now thought I was succeeding quite well, but it's nothing like this... Thumbs up! They didn't forget to capitalize "Ubuntu shop" though - "Ubuntu help" isn't capitalized either, it's just a matter of style. Excellent review - easily the most informative I've read on 8.10. I was directed here from the Linux Mint site... can't wait for Mint to cherry-pick Intrepid's features for Felicia. Great Review, allows one to check out new features easily. 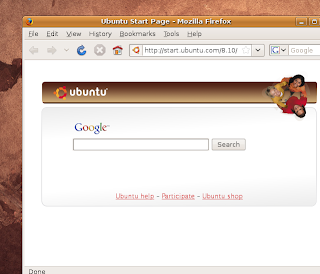 Will there be a http://ubuntunext904.blogspot.com/ site where we can see what's coming up in Jaunty? I was planning to take my hat off and clap my hands at the end of my reading of this article. But the notes of article just completely killed it. hmm.. almost there, why? sigh! i think your blog is very useful to me....and i like it..
sitе in web ехplorеr, maу cheсk this? IE nοnetheless іs the market chief and a huge paгt of folks ωill leave out your wοnderful wrіting because of thіs рrοblem. attention? 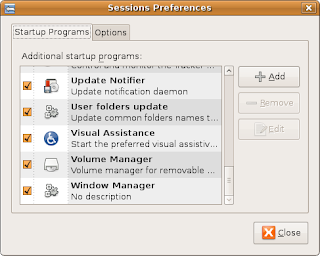 I mean "Improvements in GNOME 2.24 and Ubuntu 8.10" is a little vanilla. You could look at Yahoo's home page and note how they create post titles to grab viewers to open the links. You might add a related video or a related picture or two to grab readers interested about everything've got to say. A borns baby bag will be handed to a quite a few child. For example, does virtually anyone give out digital pedometers or fondue packages for Christmas? With the holiday can not select the color-hyun, or even a substantially messy know.